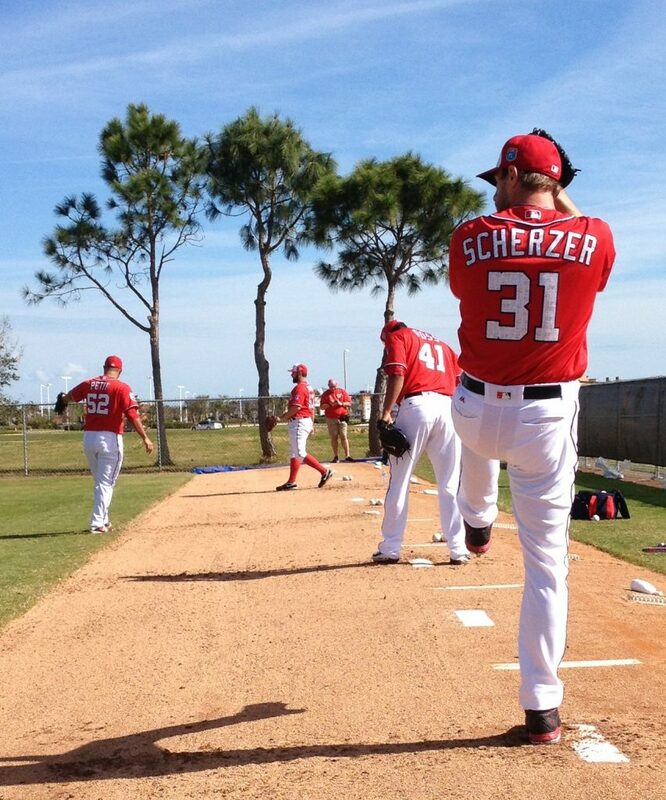 Game #30 Scherzer’s final tune-up before Opening Day in 5 days! On the concluding Saturday of Spring Training, Max Scherzer will get his final tune-up to get him ready for Opening Day in five days in Cincinnati. The plan is for Scherzer to pitch to real game conditions and keep him at 100 pitches or less. Scherzer was bombed for 6 earned runs with 3 home runs surrendered in his last start. Nationals manager Dave Martinez could have other ideas to go easy on Scherzer who has been pitching without extra rest since his March 13th start. The Nationals only have two games remaining after today, and the line-up for this game could be very close to what we actually see on Opening Day. 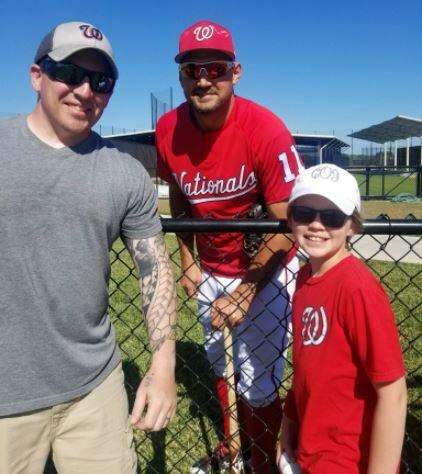 Unfortunately, six days ago Martinez said Ryan Zimmerman would play this week in Grapefruit League games. The word “games” is the plural form of “game”. Technically, weeks run from Sunday to Saturday and today marks the last day of this week. There is no Zimmerman today. Maybe tomorrow? Martinez said Zimmerman will play in Grapefruit League games this week. He and Harper are getting ABs on the back fields this morning. Zim headed to the back fields this morning with a bat which gives you a good idea that he is healthy and still preparing. For those who are guessing the final roster players, note once again that Matt Reynolds and Wilmer Difo are getting starts with the “A” team. The twist to the final bench formation is that Davey Martinez also said yesterday he could go with an 8-man bullpen which would mean a 4-man bench that would complicate the final roster. The Marlins start right-handed Trevor Richards opposite of Max Scherzer at the FITTEAM Ballpark of the Palm Beaches. Yesterday against these Marlins, it was the youngsters who were shining bright. Juan Soto went 2-for-4 with a home run and 3 RBIs. Blake Perkins had a break-out game 2-for-3 with a walk. In addition, Yasel Antuna went 1-for-1 and Luis Garcia went 1-for-1 with an RBI double. None of those youngsters have played above Single-A. Soto is 19, Antuna is 18, and Garcia is 17 years of age. 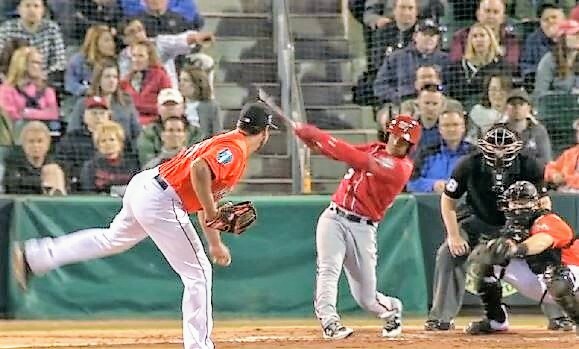 Juan Soto hit a long home run last night. This entry was posted in SpringTraining. Bookmark the permalink.